Not every brand of electronic cigarettes gives style and design the importance that they deserve. Vapour Couture is one of the few brands that puts special emphasis in the appearance of their devices because they aim to be the most stylish brand out there. While they are specially targeted to women, men can also find this brand appealing thanks to their striking image and their satisfying vapour and enjoyable flavours. The quality of Vapor Couture is backed by V2 Cigs, which manufactures them with the high standards that they apply to all their products. 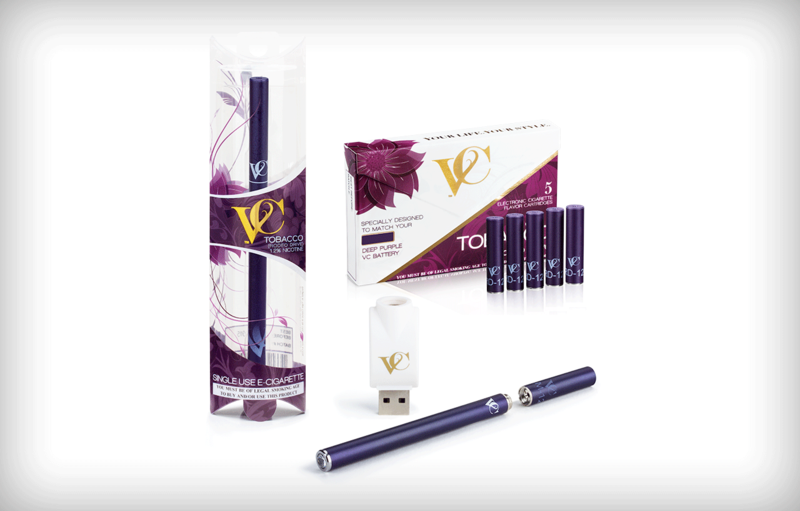 They feature a great line of accessories made to match their stylistic fashion approach and answer to many women looking to make a statement with their electronic cigarette kits. 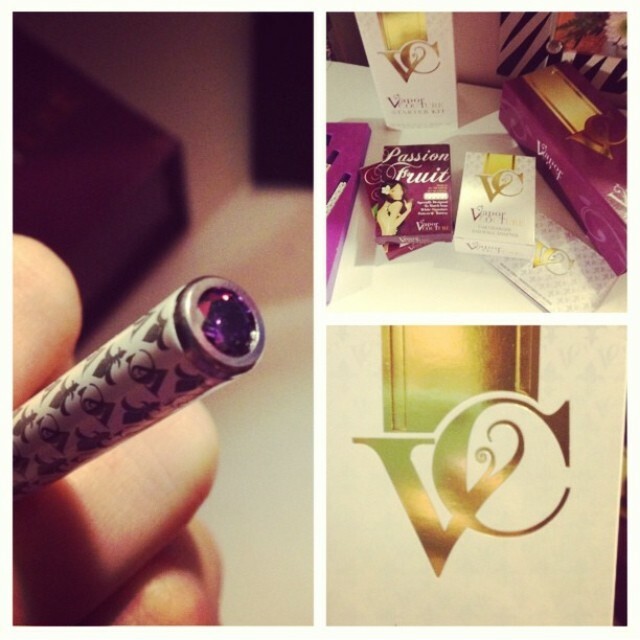 Vapor Couture is the brand for fashion conscious women that want more than just an e-cigarette. VC not only offers stylish batteries, but a whole line of accessories that have made it to runways and celebrity closets worldwide. Vapor Couture set themselves apart from other brands by making a distinctive statement with their appearance. They aim to be the brand that combines style and substance by offering a product that is attractive and that is also enjoyable. Their design and presentation are inspired in luxury items as they aim to more than a vaping device, they want to offer the perfect accessory. However, everything is a matter of taste and while some users will find their look elegant and stylish, others may think that it is too exuberant for their liking. Still, it has to be said that Vapor Couture has paid attention to every detail (from the crystal LED tip to the lavish carrying cases) to create a special experience. The accessory line is second to none in terms of wearable fashion items for women and although the emphasis is on style and appearance for Vapor Couture e-cigs, the quality is still fantastic. Being a sister company of V2 Cigs, the manufacturing and quality control is on par and you can expect the same level of craftsmanship, design development and hardware quality you get from V2 Cigs. The vapor production does not disappoint and it is one of the aspects in which Vapor Couture really reflects their connection with V2 Cigs. The battery life is not as strong as what V2 Cigs offer, but this may be explained by the fact that Vapor Couture’s batteries are slimmer. Still, the vapour production is quite satisfying and it only takes a smooth draw to get an intense cloud. Since design is a crucial part of Vapor Couture’s concept, it is understandable that they decided to sacrifice the battery power in favor of a more elegant appearance. None the less, the balance is still right and the vapor hit is still provides a good hit and much attention was put into developing the right taste balances in their flavors. As we just covered, the battery life is slightly lower than traditional V2 Cigs batteries due to the slimmer design. However, they are lightweight and do look much more elegant than traditional e-cigarettes. Sporting shiny colors and their signature crystal tips, they are sure to turn heads. 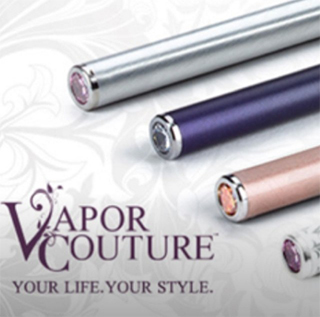 Its’ important to note that Vapor Couture batteries and products are not interchangeable with V2 Cigs products. The battery life was tested and found to be satisfactory being a little bit less than V2 duration. 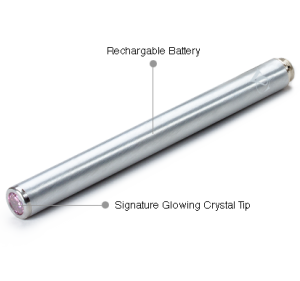 It has the respectable power similar to a shorty battery with 190mA at 4.2V. The charge time is very fast taking only 1 hour. Staying true to their aim to offer a sensation of elegance, Vapor Couture have crafted their flavors to ensure that their customers enjoy a smooth and refreshing experience. Their tobacco options are intense but not overpowering, guaranteeing a pleasant and satisfying experience. Bombshell has an interesting bittersweet taste, Rodeo Drive is a classic and smooth option, while Artic Mint offers a cool and powerful sensation. For a sweet and fun taste, you can go with their fruity and exotic Passion Fruit and to get a touch of fun and distinction, the Strawberry Champagne is the ideal choice. Vapor Couture does not offer e-liquid refillable options as of now, opting for a simple maintenance free approach. Vapor Couture offers a 30 day money back guarantee on all starter kits purchased on the website, but remember to keep all of the original packaging to ensure to comply with policy. As all other brands, refunds are not possible for cartridges, disposables or holiday bundle offers. They also offer a lifetime warranty that offers up to 5 replacements on any given order, ensuring you can replace anything that might fail pre-maturely. Although you need to have purchased at least one pack of cartridges in the last 90 days to comply with the lifetime warranty returns, the warranty itself will never expire time wise. Head to our Vapor Couture Starter Kits page for more information. The introductory kit is precisely called Entrée Kit and it provides a simple yet sophisticated way to start your journey in the world of electronic cigarettes. You get the basic elements needed to enjoy your vaping: one battery, one smart charger (USB), six flavor cartridges (you can select between three delightful flavors to match the color of the battery) and one disposable e-cig. The price for this kit is around $44 USD, which is slightly higher than basic kits of the same kind but if you enjoy the luxurious look and feeling of their design, it is well worth the price. The second kit that you can choose from is L’Essentiel Kit, which includes all the main accessories required to give you a complete vaping experience. With this kit which costs around $72, you get two batteries, one charger kit (wall adapter plus USB charger) and 10 flavor cartridges. Again, you can choose the color of the battery (Deep purple, Rose Gold, Brushed Platinum and White signature, which is the logo of the brand) and match it or mix it with the color of the cartridge. For additional accessories, you can select their L’Essentiel Kit + 1 ($110), which contains all the things that you get with the previous kit plus one portable charging case or Stainless Steel Charm Necklace. You can select the portable charging case which enables you to charge your battery without the need of a power source. The Stainless Steel Charm Necklace can be also worn as a bracelet to carry your electronic cigarette in an elegant way. The next kit that you can choose from is the Passeport ($165), which includes both the portable charging case and the stainless steel fluted charm necklace, as well as one car adapter, one wall adapter, two batteries, 10 flavor cartridges and a USB charger. For the ultimate vaping experience, you should go for the Maximale kit (for a bit over $220) which includes three batteries, one portable charging case and a smartphone clutch, which is the perfect complement for this kit. You also get four packs containing 5 flavor cartridges each, as well as the portable charging case, the charm necklace, car and wall adapter, as well as the USB charger. Disposable electronic cigarettes are also available at Vapor Couture. 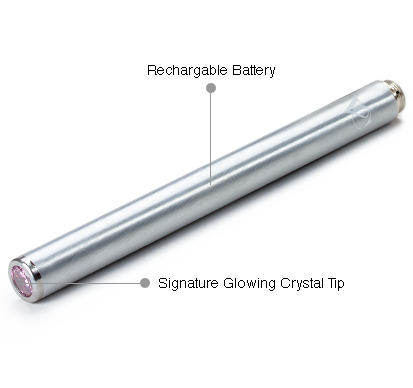 The e-cigarettes are just as stylish and sleek but the disposable e-cig comes in a less powerful 3.7V, 125mAH single use battery powering the one piece unit. Unfortunately, they are not the best priced disposables on the market, but they are part of the best looking ones. A 5-pack costs $46.65 while a 10-pack gives a small discount at $82.97 for a total of $8.30 per disposable. 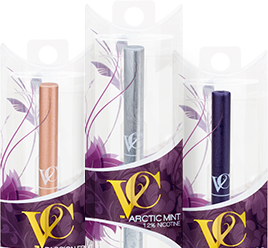 The Vapor Couture disposables are limited to 1.2% nicotine content and 3 flavors; Passion Fruit (rose gold color design), Arctic Mint (brushed platinum design), Rodeo Drive Tobacco (deep purple design). Visit our full Vapor Couture Disposables review. 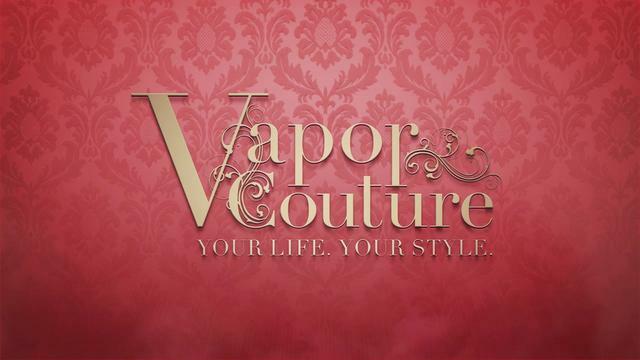 Vapor Couture is the choice for fashionistas and men and women looking for a stylish and elegant approach to their personal vaporizers and e-cigarettes. 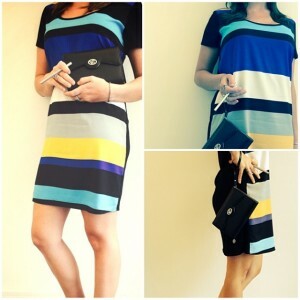 Recently, Vapor Couture have worked to redefine their image and to reinforce the quality of their products. While they maintain their commitment to offering an attractive design, it is evident that they want to improve the quality of their product in order to offer an option that does not only offer fashion but also a great vaping experience.